Data Science is an interdisciplinary field that combines machine learning, statistics, advanced analysis, and programming. It is a new form of art that draws out hidden insights and puts data to work in the cognitive era. Today we are excited to announce the IBM Data Science Experience, an environment that has everything a data scientist needs to be successful. IBM Data Science Experience is an interactive, collaborative, cloud-based environment where data scientists can use multiple tools to activate their insights. Data scientists can use the best of open source, tap into IBM’s unique features, grow their capabilities, and share their successes. To get yourself going, create projects to collaborate with other data scientists and data engineers, create and share notebooks, data sets, and data connections, or use RStudio. IBM is one of the leading global technology and innovation companies in the world, headquartered in Armonk, NY. As a globally integrated enterprise, IBM operates in more than 175 countries and is continuing to shift its business to the higher value segments of enterprise IT. IBM is a cognitive solutions and cloud platform company that offers a wide range of technology and consulting services; a broad portfolio of middleware for collaboration, predictive analytics, software development and systems management; and the world’s most advanced servers and enterprise computers like IBM Watson. Utilising its business consulting, technology and R&D expertise, IBM is making the world work better by transforming industries and professions through technology and data. This includes working with organisations and governments to build systems that improve traffic congestion, managing water, and the health and safety of populations. IBM annually invests approximately 6 percent of total revenue for R&D, focusing on high-growth, high-value opportunities. In 2016, IBM was awarded more U.S. patents than any other company for the 24th consecutive year. IBM Research has received recognition beyond any commercial technology research organisation and is home to 6 Nobel Laureates, 10 US National Medals of Technology, 5 US National Medals of Science, 6 Turing Awards, and 20 Inductees in US Inventors Hall of Fame. Our company was behind the inventions of the PC; SABRE travel reservation system; UPC codes, Watson, the Jeopardy!-playing computing system, and much more. Join diSummit 2017 and take part in IBM‘s innovative workshop, a unique experience you cannot miss!!! Nadia Aimé is the founder of the Women Mentor Association & Crea8tive Digital Agency. She is a social entrepreneur who inspires and mentors young women to create and disrupt the standards. She is driven by a desire to change the system and to create opportunities for women everywhere to reach their fullest potential and has carried out tons of activities for inspiring women to be interested in tech & entrepreneurship throughout her career. Follow Nadia on Twitter here and join her Ignite speech at diSummit 2017! 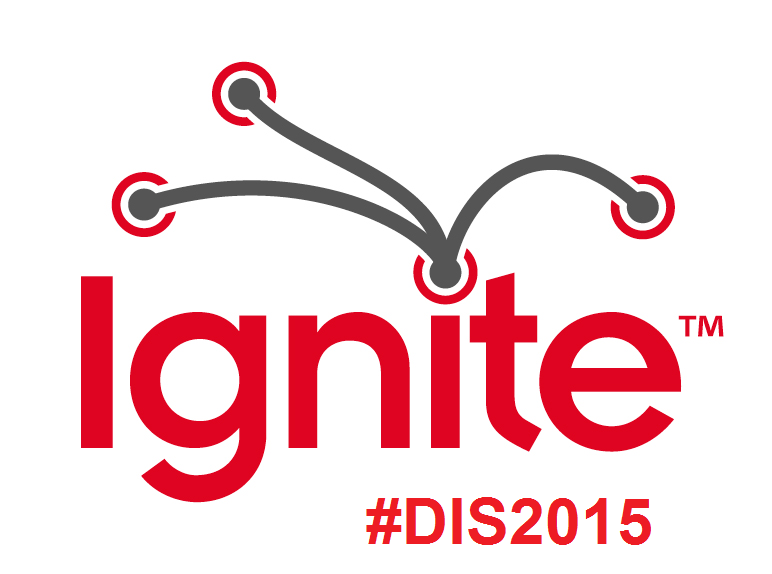 Top 5 presentations of DIS2015 (Data Science Innovation Summit). March 26th will be the milestone of our community. 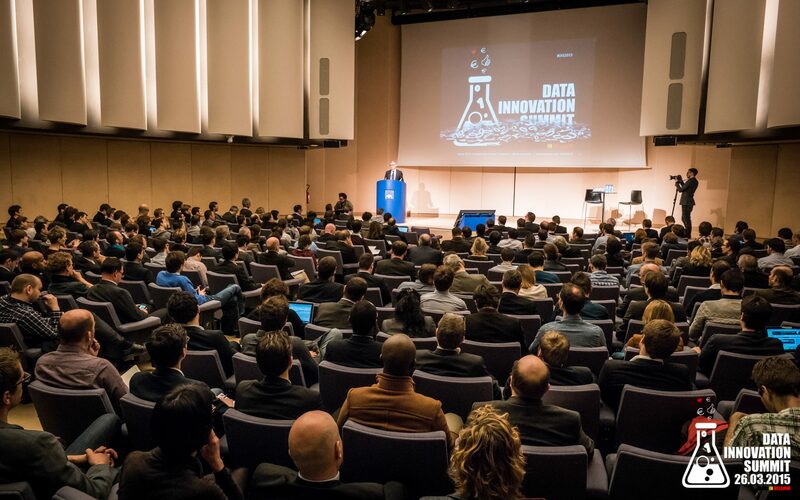 We had 68 speakers at our Data Innovation Summit with over 500 attendants. Check our new DataScience video channel with all the presentations. Pictures of the event are available on our facebook page. 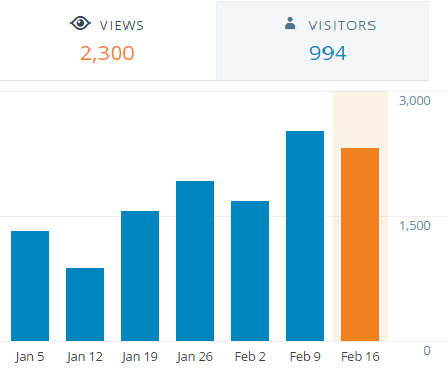 Over 600 people replied to the datascience survey. Read Ward’s analysis of the satisfaction survey. The plan is to bundle these in a e-book, if you want to be part of this book you only need to submit your analysis. We are still waiting for a team that wants to link this survey with another existing survey. Winners of the best analysis will be announced during our Banking meetup on May 20th. Thank you for all for making this summit a success. 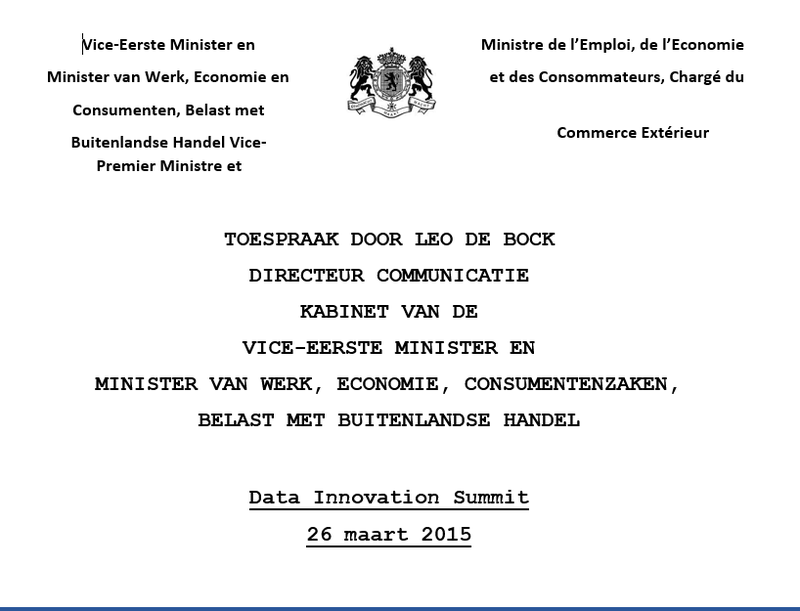 It is so nice to be supported by Minister Kris Peeters and his team during our first Data Innovation Summit. Thank you Leo for the excellent presentation. Here is the video from Leo De Boeck. First of all, I would like to apologise Vice Prime minister Kris Peeters for not being able to make it to this meeting due to a political meeting that succeeded to eventually dominate his agenda. On days like these, when the bright minds of the world of data come together, we have a great opportunity to look ahead. We can discuss the next step in a field that progresses at an impressive speed. Now that digital has become the new normal, what will be the new extraordinary? The digital economy is one of the most dynamic and promising sectors in terms of development potential. Its possibilities for growth far exceed those of other sectors. Mobile data traffic doubles each year, the use of the internet does so every two or three years. Today, 4 million people work in ICT in the European Union and their share increases with 3% per year, despite the economic crisis. For the federal government of Belgium, our prime goal is to translate this digital growth into job creation. This is why we are developing our digital agenda. If we want to stay ahead as a digital nation, we’ll need to invest. We have a more developed high speed internet infrastructure than most other countries. We do not want to give up on that advantageous position. We instead wish to continue to invest in a 4G and LTE advanced network in Belgium. At the same time, we need to invest in our regulatory framework. We need to update our privacy legislation that dates back to 1992, which, in digital terms, is the stone age. Privacy is a key driver for digital progress. The digital revolution will come to a halt when people’s trust diminishes. People have to be granted the right to information ànd the right to be overlooked, ignored, forgotten. Moreover, people need to feel safe when they go online. The government therefore, wants to make the CyberSecurityCenter operational this year. This center will work out a strategy to secure our nation’s digital network and the information we have online. Moreover, the Federal Public Service for Economy organizes campaigns to raise awareness on the data and digital fingerprint that people leave online. In today’s age of big data, these kinds of campaigns have become a necessity. Never before in the history of mankind, data have been collected, processed and linked at this massive a scale. A company’s power today is not just valued in terms of capital, but also in terms of data. Data is the new gold. Data means a company can produce, ship and market their products and services far more efficiently. In fact, our cabinet has already reaped the benefits of big data. We have been working together with a promising Belgian start-up, called Dataminded, who analyse our social media activities and we have already changed our communication policy on the basis of this analysis. Both the Vice Prime Minister and his staff are convinced of the great added value of big data. But, ladies and gentlemen, this does not mean that all bets are off. As I mentioned earlier, we need some form of regulation. Moreover, we need to think about creating a level playing field. The term ‘big data’ is quite self-explanatory. Big companies, first and foremost, are capable of gathering a critical mass of data for useful analysis. Those companies have the means to buy data or to invest in data processing. The question therefore is, how we can make sure that small and medium sized companies – those that somewhat are the backbone of our economy – can also become part of the big data story. This is why the federal government is working on legislation that makes open data accessible to citizens, companies and researchers. The exchange of data between governments and other organisations, will strengthen literally every citizen and company. Sharing data means strengthening everybody. Companies that own data, need to keep this in mind. Big data should be more than a new way to maximize profits. Big data should also benefit society. Take product information for instance. It is abundantly present in digital networks and it is used to reduce costs, boost productivity and make marketing efforts more efficient. Product information is often highly specialized, technical and exhaustive. It is so exhaustive that it confuses the average consumer. This is the point where big data should cross the boundary between economic logic and social logic. Let me give you one very concrete example. In December of last year, a new European regulation on Food Information to Consumers came into force. This legislation will ensure that consumers get more information on the food products that are put on sale in stores. But given the abundance of information, it is difficult for the consumer to use this in a meaningful way. So wouldn’t companies rather share their product information with others who can present these data in a more comprehensive way? Isn’t is socially responsible, isn’t it a corporate social duty for them to share information so that this legislation can actually be applied and we can make the consumer more aware, give him a chance to make rational decisions? This is where data should be turned into knowledge. Now, some companies will consider this a threat. But frankly, they are wrong. If you take initiative, you create opportunities. You get ahead instead of trailing the pack. First of all, transparency about data creates trust. And trust boosts business. 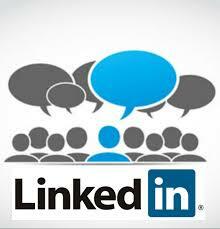 Secondly, when companies provide their data directly, they can be sure that the data on the market are correct. Companies that continue to shield and hesitate and stay aloof, make the wrong choice. Because eventually the data will see the light of day. The huge multinational internet companies will put this data on the market sooner or later. And they will not wait for an agreement or cooperation. I hope hearts and minds will work together when we develop the new extraordinary. Because that is what big data is. Now that digital has become the new normal, big data is the next leap. For now, I wish all of you a productive and fruitful conference. And together with Vice Prime Minister Peeters, I do look forward to the great innovations that all of you, the bright minds of big data, will create in the years to come. The Data Innovation Summit is to host over 30 ignite presentations held by Universities, Startups and innovatieve companies. If you had five minutes on stage what would you say? Would you talk about your latest passion? Describe the trip of a lifetime? Teach a hack? We’ll find out at in this high-energy, fast-paced, technology show-and-tell. Any topic is fair game as long as it’s interesting, from technology to culture to business to science fiction. Speakers are limited to 20 slides, which automatically advance after 15 seconds—that’s the fun of Ignite! Ignite is the name for a particular type of event that is held throughout the world—organized by volunteers—at which participants speak about their ideas and personal or professional passions according to a specific format. The event holds the motto, “Enlighten us, but make it quick!” The presentations are meant to “ignite” the audience on a subject, whereby awareness, thought, and action are generated on the subjects presented. 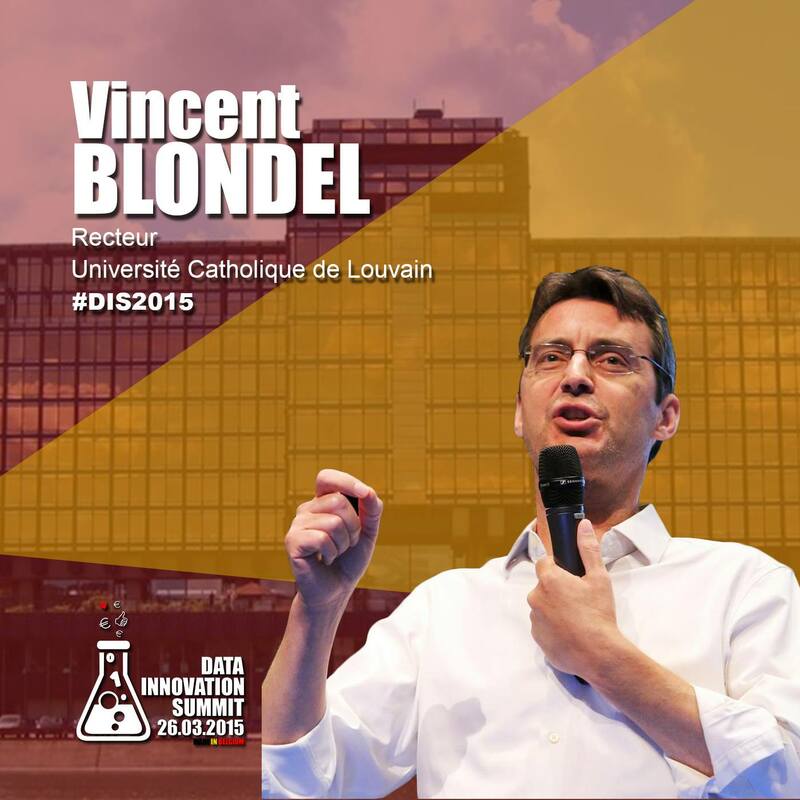 I’m so pleased to announce that Rector Vincent Blondel will do the keynote of the Data Innovation Summit – made in Belgium. Vincent D. Blondel is professor of applied mathematics and president of the Université catholique de Louvain (UCL) in Belgium. He received an engineering degree, a degree in philosophy, and a PhD in applied mathematics from the Université catholique de Louvain, and a MSc in pure mathematics from Imperial College (London, UK). He has also completed a master thesis at the Institut National Polytechnique de Grenoble (France). He was a visiting scientist at Oxford University in 1993. During the academic year 1993-1994, he was the Göran Gustafsson Fellow at the Royal Institute of Technology (Stockholm, Sweden). In 1993-1994 he was a research fellow at the French national research center in computer science (INRIA, Rocquencourt, Paris). From 1994 to 1999 he was an associate professor at the Institute of Mathematics of the Université de Liège in Belgium. Dr Blondel was a visitor with the Australian National University (1991), the University of California at Berkeley (1998), the Santa Fe Institute (2000) and Harvard University (2001). He has also been an invited professor at the Ecole Normale Supérieure in Lyon (1998) and at the University of Paris VII (1999 and 2000). In 2005-2006 and in 2010-2011 he was an invited professor and Fulbright scholar with the Department of Electrical Engineering and Computer Sciences of the Massachusetts Institute of Technology (Cambridge, USA). He was the Petar Kokotovic Distinguished Visiting Professor of the University of California in 2012-2013. Blondel’s major current research interests lie in several area of mathematical control theory, theoretical computer science and network science. He is a former associate editor of the European Journal of Control (Springer) and an associate editor of Systems and Control Letters (Elsevier) and of the Journal on Mathematics of Control, Signals, and Systems (Springer). For his scientific contributions he has been awarded of a grant from the Trustees of the Mathematics Institute of Oxford University (1992), the prize Agathon De Potter of the Belgian Royal Academy of Science (1993), the prize Paul Dubois of the Montefiore Institute (1993), the triennal SIAM prize on control and systems theory (2001), the prize Adolphe Wetrems of the Belgian Royal Academy of Science (2006), and the Antonio Ruberti prize in systems and control of the IEEE (2006). He is a fellow of the IEEE. Vincent has directed more than thirty PhD and Master thesis. His recent work on networks has been widely featured, including in Wired, Technology Review, Le Monde, La Recherche, Der Spiegel, The Wall Street Journal and The New York Times. The Data Innovation Summit in Brussels is a one day conference gathering all the Belgian actors facilitating data innovation. It is an action packed conference where more than 50 speakers will demonstrate what they do that helps us compete in this digital marketplace. 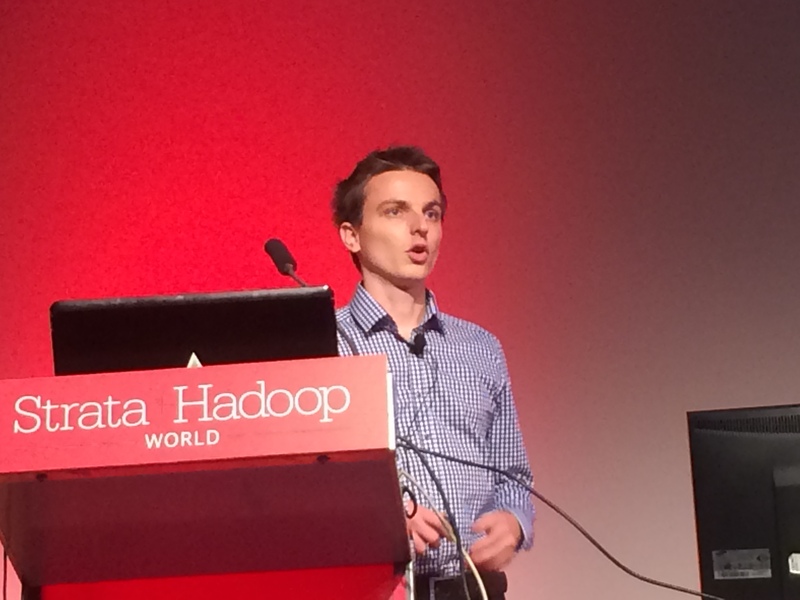 The strata Hadoop conference is taking place in London on May 5,6,7. 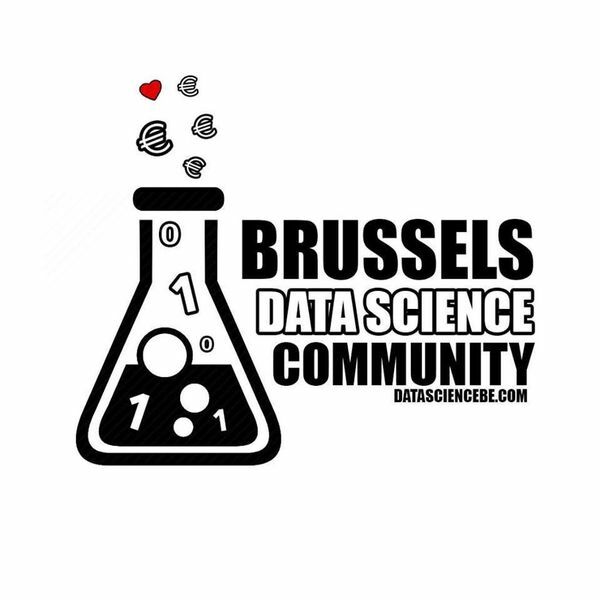 The members of the Brussels data science community also receive a 20% discount to Strata + Hadoop World 2015 by using your unique code BDS20. 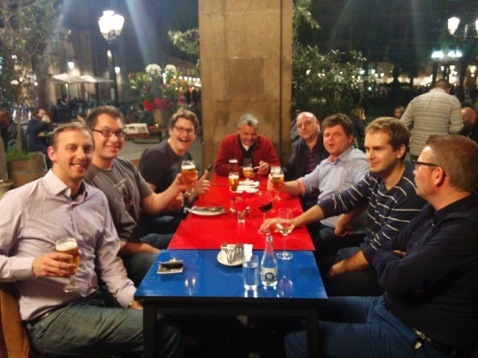 In Barcelona we had a nice Belgium delegation and we had a great time. Let’s organize it again so that we can travel together. 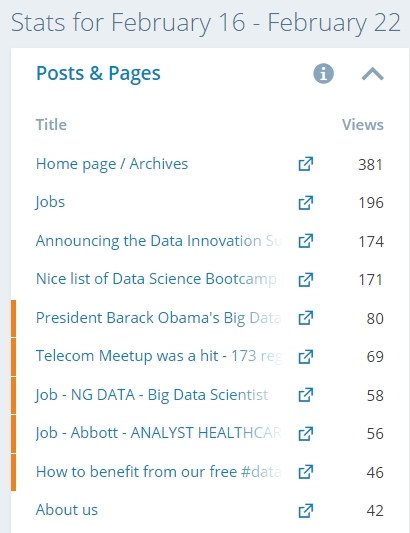 Have you seen the latest Datascience jobs ? 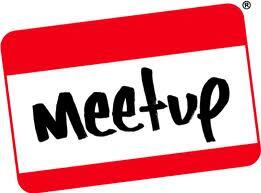 Join us to Learn and Share at our next Meetup? 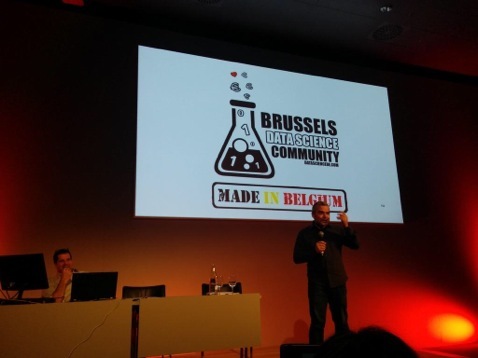 Digital wake up call for Belgium – Call for action ! 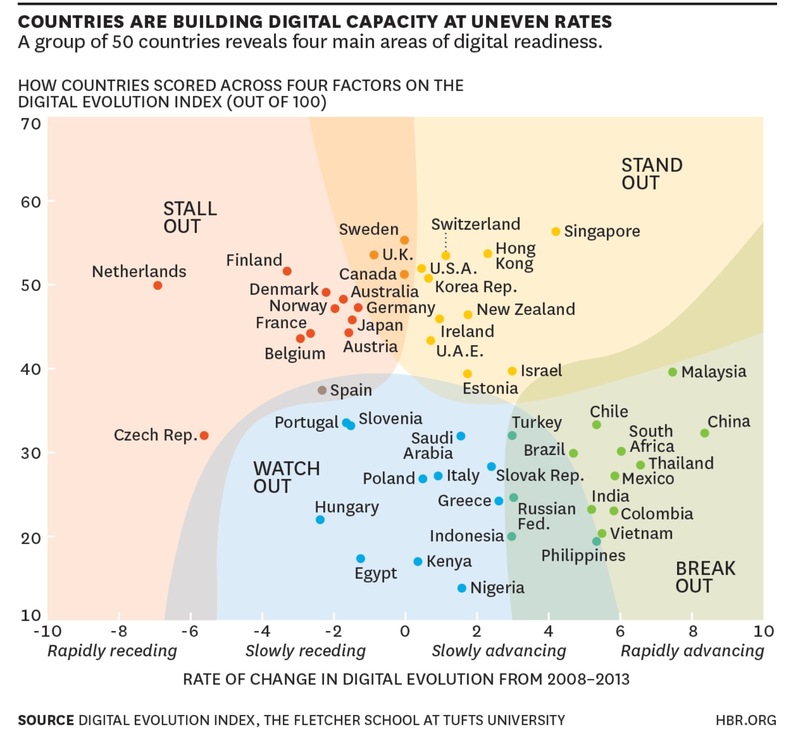 This article shows that based on the Our Digital Evolution Index (DEI), created by the Fletcher School at Tufts University (with support from Mastercard and DataCash), Belgium is ‘stalling out’. Like they say, Stall Out countries have achieved a high level of evolution in the past but are losing momentum and risk falling behind. My worry here is that we are positioned to be slower than France(wablief !). So, High time for action, let’s do something about this ! The fact that President Obama calls out to the DataScience community for help shows clearly that our skills are highly valued. So, why don’t we all help to push the Belgian digital agenda a bit harder. Let’s discuss this on March 26th, and let’s make sure that our Data Innovation Summit becomes the start of a new datascience initiative. 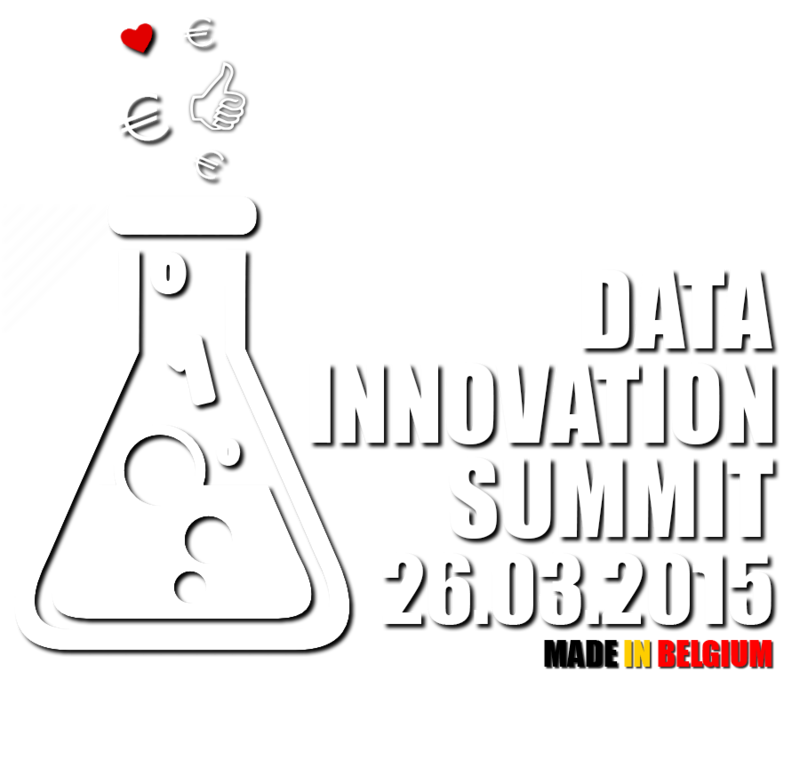 The Data Innovation Summit in Brussels is a one day conference gathering all the Belgian actors facilitating data innovation. It is an action packed conference where more than 30 speakers will demonstrate what they do that helps us compete in this digital marketplace. Is it that bad ? As you can read in the recent post from Karsten Strauss in Forbes – no European center of technology comes close to matching the entrepreneurial factory of Silicon Valley. Still, Europe has its bright spots. Last year the European Commission rated its top tech hubs based on complex indexes of data on information and communication technology research, education, employment and reams of other data. Germany’s city of Munich took the top position, followed by East London, in the UK; and Paris, France. 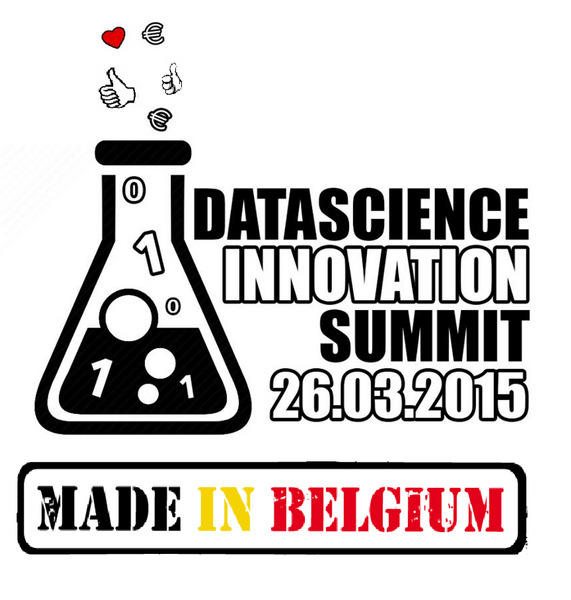 Register for the Data Innovation Summit NOW. Please check the agenda for the updated list.